The Portal Quest Royal Tournament: Elite Eight! This Royal Tournament is starting to heat up! 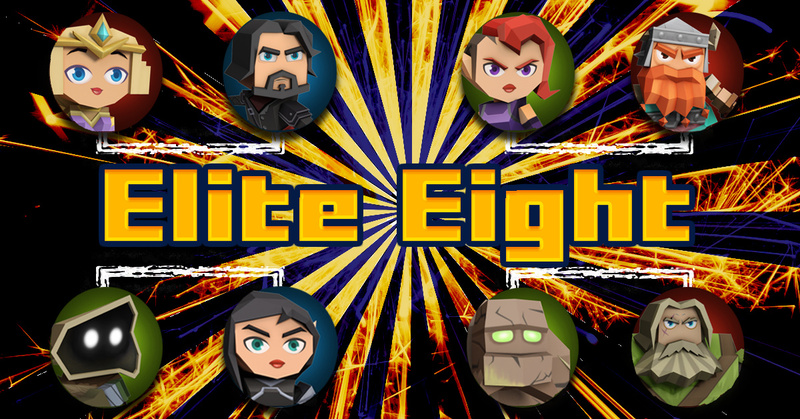 Your Elite Eight have been chosen, but the battle isn’t nearly over yet! Vote now for your favorite Heroes, second round voting ends 09:00 CT on Friday, July 28th. It’s interesting only 2 of 3 friends of aspects were even available for voting. I see a fight between the ‘boys’ and ‘girls’, place your bets* and vote for your team now! *Helios does not take part in the betting. In case of a draw, all bets will be collected by Helios. Hex Witch vs. Ginger Beard? Now that’s a tough choice! Soooo… when do the semifinals begin? They are up on Facebook.